In Europe, social media like Facebook and Twitter are removing posts and blocking authors opposing mass migration from the Third World as hate speech. The hostile attitude to literally hundreds of thousands of Africans from Nigeria, Morocco or Ghana flooding Italy, Sweden or Germany is considered extremist behaviour by them. At the same time Facebook and Twitter are instrumental in the biggest human exodus in modern history. Social media have not been limited to a communication or marketing function for a long time. Platforms like Facebook and Twitter contribute to the creation of the political situation, as the events related to the Arab Spring or Kiev’s Euromaidan. Social networks have also become a channel that helps to organize the transfer of Africans to Europe. In 2017 a quarter of the people on the Earth have a Facebook account, of which 68% are under 35 years of age.Also in North African countries, this portal is very popular among almost half of the population, above all among people below 35 years of age.It so happens that the age of 89% of people entering Europe from Libya according to official data does not exceed 40 years,which leads to the assumption that the same age group most often uses the social networking site discussed above. 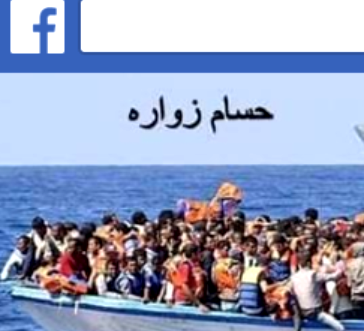 Facebook has become the smugglers’ channel for reaching out to people interested in getting from Africa to Europe. Facebook posts confirm that the European Navy play an important role in one of the largest exoduses in modern history. The ads inform about the participation of battleships or NGO vessels in “rescue” actions. Several times there was also information that the only thing smugglers had to do was reach the place where the navy ships would appear in a few hours. Such messages leave many questions about the involvement of NGOs or naval forces of European countries. The previous analyses of Gefira team have revealed an important role played by NGOs in the operations of transferring illegal immigrants. There have been reports before that NGOs offer help in a way that is not transparent enough.The European Border and Coast Guard Agency (Frontex) also indicates that cooperation with non-governmental organizations is ineffectual. The map above shows the locations of rescue operations carried out by the organization Doctors Without Borders, of which the vast majority took place near the Libyan territorial waters. The rescued people were mostly transported to Italy, not to African or Maltese ports which are definitely closer.We might ask whether a Swedish ship participating in the rescue of a boat with German passengers located 20-30 kilometers off the German coast would transport survivors to Sweden or Germany? Doubts arise concerning the role of Frontex, whose ships transport immigrants from boats drifting near the Libyan coast directly to the centers located in Southern Europe. The “Sophia” operations involving battleships also arouse suspicions. The navy’s aim is to combat smugglers in the Mediterranean and rescue illegal immigrants. The observation of smugglers’ profiles on social networks reveals the connections between rescuing immigrants and their transport by smugglers. Post regarding the price of smuggling from Tunisia and Libya to Europe. 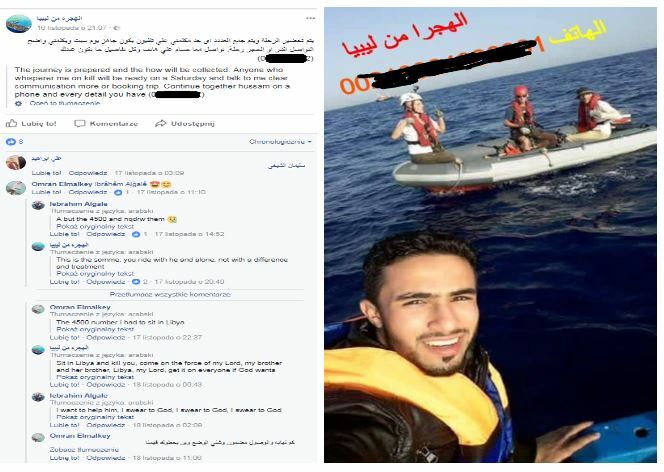 According to the information published on smugglers’ Facebook profiles, the cost of being transferred to Europe is $400 per person if the journey starts from Tunisia or $1000 from Libya (data from March 2016). Families can have discounts. The extent of this business is illustrated by numbers. In July 2017 11,5 thousand people arrived from Libya in Italy (that number was twice as high in the same month a year earlier). If the black-market price amounts to $1000, then in one month smuggling organizations (and other entities involved) can earn up to $11.5 million. The scale of these actions makes one wonder if they are not coordinated. It has already been revealed that „refugees” had phone numbers of non-governmental organizations to announce their arrivals. An intriguing situation occurred at the beginning of last month. 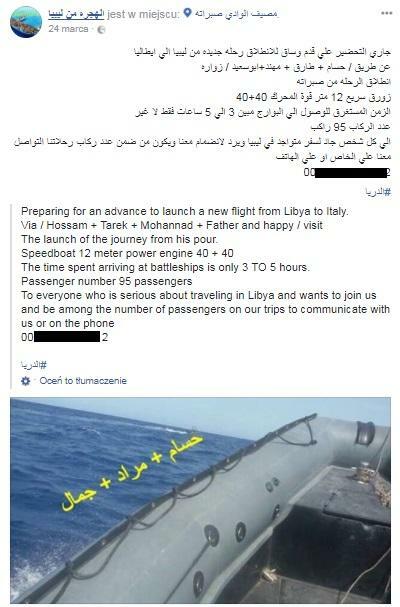 On 2nd of December, an announcement on the smugglers’ Facebook profile appeared that a “trip” from Libya to Italy was planned, which would be on 6th of December. On 7th of December an update appeared indicating that the smuggling under preparation would start on the same day. The post was published in the afternoon, so it could be presumed that the operation began in the evening or at night. A day later, i.e. 8th of December in the early afternoon, Frontex published on its Twitter page the information that the ship Olympic Commander was involved in patrolling sea borders and saved 78 people. Of course, there is no proof that these people were taken from the boat referred to above, as there is no proof that Frontext knew that there was a ship coming. People smugglers had broadcast a message in advance that they were leaving a port in Libya and then would be picked up by the European navy and NGOs. Now there arises the question whether we are dealing with a genuine rescue operation or an illegal and dangerous transfer at high seas. 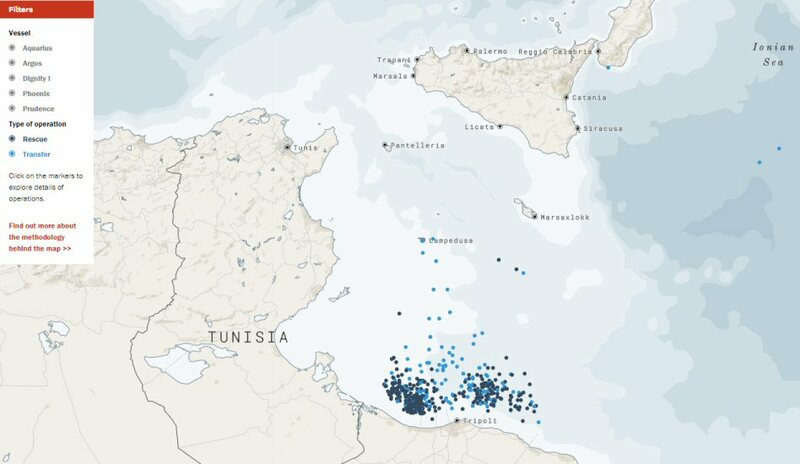 Situation from the beginning of December on organized smuggling from Libya to Europe and rescue operations as part of the Frontex missions. The law of the sea states that “Every master is bound, so far as he can do so without serious danger to his vessel, her crew and passengers, to render assistance to everybody, even though an enemy, found at sea in danger of being lost.” People smugglers, the European Union, NGOs and Frontex are making a mockery of the law of the sea, and for that they should be held responsible. The massive transport operation that already brought six hundred thousand people from Libya to Italy since 2014, promoted and coordinated by modern communication tools like Twitter and Facebook, can hardly be regarded as genuine rescue operations. Communications smugglers on via Facebook. 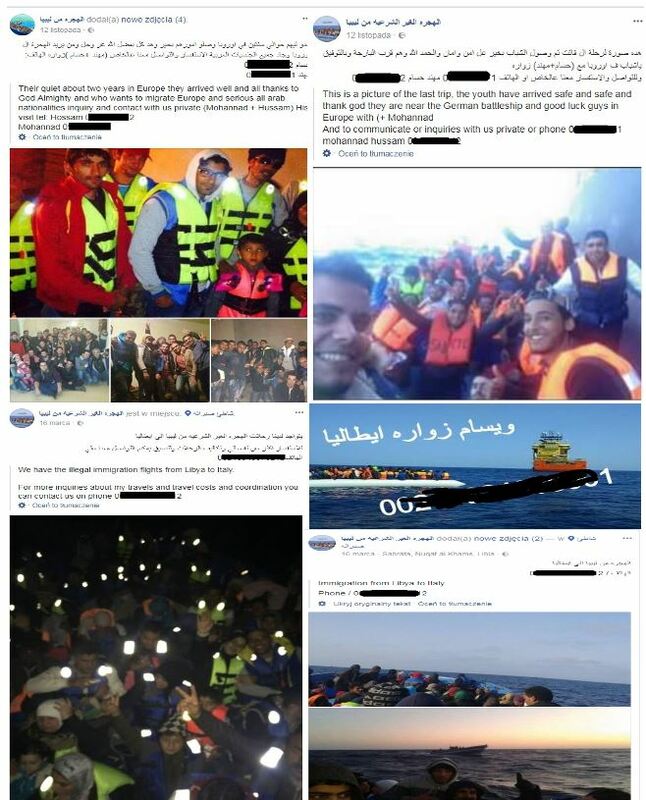 Last winter we proved the participation of non-governmental organizations in the smuggling of immigrants.Currently, through social media, we can not only follow NGOs activities, but also the way of communication between smugglers and their clients. Exploring this subject entails new questions. All “rescue operations” seem to have been well organized.